In Reception we have been learning about different pets and how to take care of them. The girls have been using books and the internet to find out information about the kind of animals that share our homes. After gaining a lot of information from books, we were delighted to actually have a visit from a real pet! 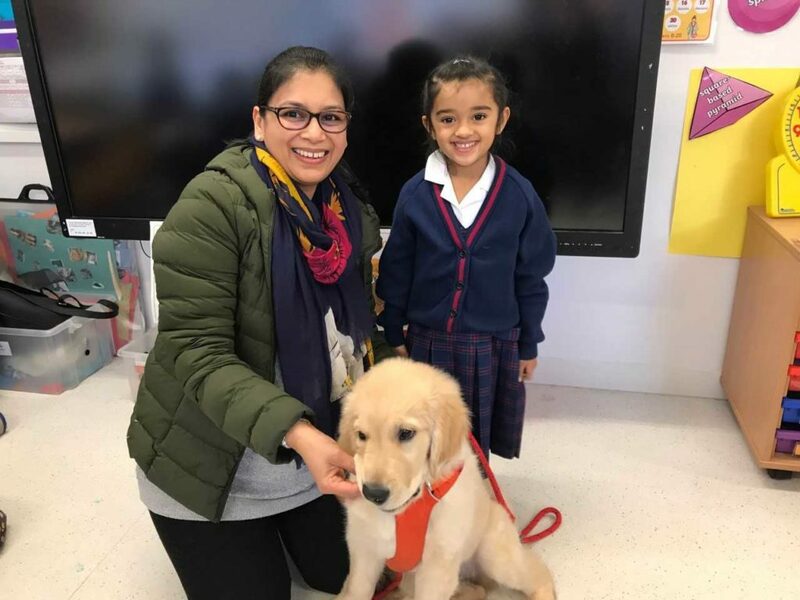 Mrs Gupta and Rishika, from Hedgehog class, were kind enough to bring Archie, their three month old Golden Retriever puppy to school. The girls were surprised by how big and clever Archie was. 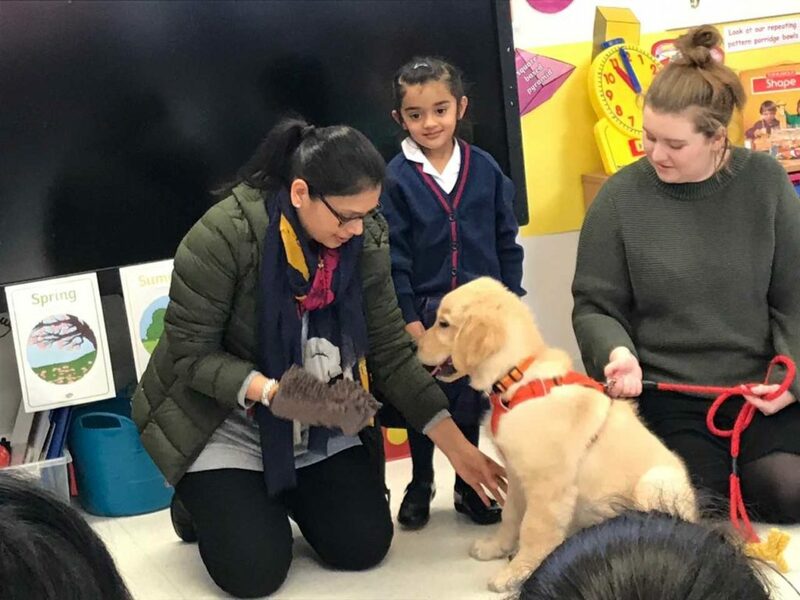 Archie gave Rishika a ‘high five’ with his paw and listened carefully to Mrs Gupta when she told him to sit and stay. We found out that dogs need a lot of exercise and need to eat about three meals a day. We also discovered lots of new things. Puppies, like Archie, can eat very quickly so their food has to be spread out onto a special mat to slow them down. Golden Retrievers also have weak hips so should not climb up and down stairs until they are a year old. Seeing a real puppy brought our learning to life and was a wonderful experience for the girls and the staff. (We all wanted to take Archie home!). 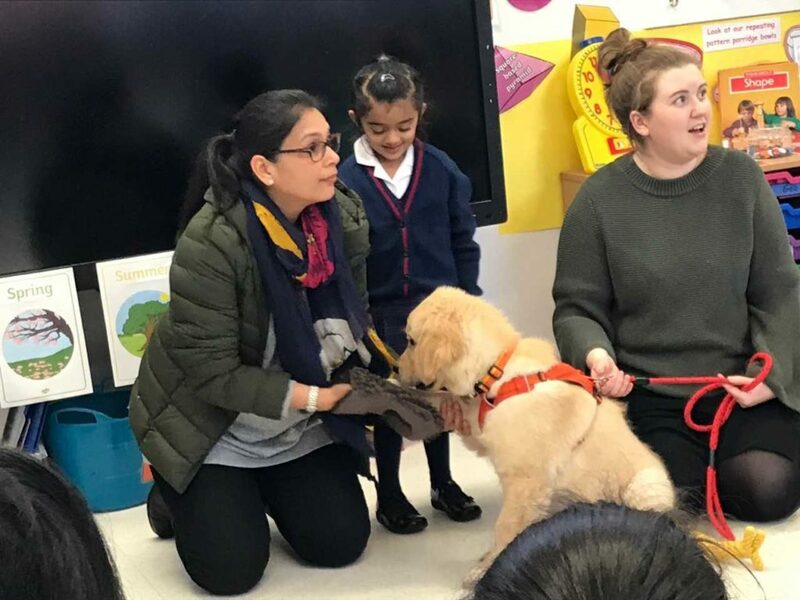 A very big thank you to Rishika, her Mum and Archie for coming to visit us.